As a state strongly opposed to gambling of any kind as a matter of policy, legal South Carolina sports betting is possible but on a limited basis. 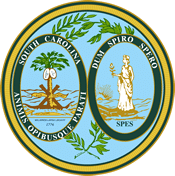 The Palmetto State was admitted to the Union in 1788 and almost immediately thereafter banned nearly every form of gambling, whether that was cards, dice, horse racing, and even lotteries, up until 2001. This is largely due to the Southern state’s overwhelmingly conservative values and Christian-centric social mores but the steps forward towards legalized sports betting in South Carolina have been more like jumps forward. Though many do not know, residents are able to participate in sports betting. The Palmetto State’s penal codes do not, to the great relief of sports betting enthusiasts, have anything to say at all about online gambling, which paves the way for the ascendency of offshore legal sports betting websites. These websites operate outside federal and indeed South Carolina’s legal jurisdiction but are fully regulated and licensed by their home countries and therefore simultaneously safe and legal for American players. However, given some political developments, South Carolina’s strict bans on sports betting could be primed for a change. New Jersey’s Supreme Court case to appeal the federal law known as the Professional and Amateur Sports Protection Act (PASPA) was successful which opened up the ability for states to pass their own gaming regulatory legislation and South Carolina has already attempted to do just that. 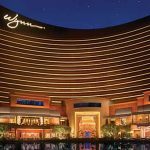 Shortly after the ruling, the state legislature introduced a bill that would allow commercial land-based casinos. It all comes down to money and South Carolina’s infrastructure is badly in need of repair. In early 2019, legislators determined the best way to increase tax revenue would be to attempt to legalize sports betting in South Carolina and with that mindset, they filed three bills to regulate and legalize the industry. 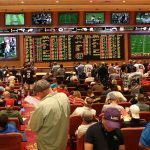 Is Land-Based Sports Betting Legal In South Carolina? Land-based sports betting, and indeed most other forms of gambling of any kind, are and have been illegal in South Carolina for more than 230 years. It’s definitely not worth it to try to find a local bookmaker or really even to start up a betting pool with your friends because you’d be breaking the law if you did. The best bet for Palmetto State bettors is to head over to a legal South Carolina sports betting website operated in a foreign country – Bovada, BetOnline, SportsBetting and 5Dimes are all solid choices. Other options may arise which in sports betting becomes legal within the state by legislative action. SC Senate Bill 0057 includes making many forms of gambling, specifically sports betting on professional games legal. This bill is also accompanied in the Senate committee with SC SB 0071 which creates a gambling study committee. This is an attempt to examine all aspects of regulating the industry and determining the infrastructure and staffing necessary to move forward. The committee is set to dissolve January 31, 2020. Because South Carolina’s state laws regarding gambling are so old, they don’t exactly take into account online gambling. Since the other forms of gambling (which is most all of them) are explicitly forbidden by name, and since the best offshore sports betting websites aren’t subject to US law anyway, there is really no need to fear legal actions against you if you place wagers on these sites. Because of federal laws like the Unlawful Internet Gambling Enforcement Act of 2006 (UIGEA), however, you will need to bear in mind that you can’t get a payout from winning bets in the form of credit card transactions. So if you don’t mind waiting on a check in the mail, a money transfer to come through, or have a crypto-wallet, then go for it. Where Can I Bet On Sports In South Carolina? There isn’t actually anywhere in South Carolina that it’s legal to bet on sports if you make use of a local bookie or go to a physical gambling location in the state. State law expressly forbids bookmaking and pool-selling among its many other prohibitions on various kinds of gambling. In fact, only the state-sanctioned local lottery and bingo for senior citizens are allowed by state statute. Therefore, it is required to use offshore licensed sportsbooks for your sports betting needs. If you live in South Carolina and you want to gamble, there are very few options open to you whether you live in Charleston or Mount Pleasant. The state legislature changed its tune on gambling in a major way for the first time since North Carolina became a state with the 2008 passage of casino cruise legislation. This allowed companies like Big M Casinos and SunCruz Aquasino to operate gambling cruises. These ships take their passengers into international waters to gamble and then return after paying out, which limits the time spent gambling as much as it does the types of gambling allowed: naturally sports gambling is unavailable. If you are determined to bet on-location at a sportsbook, you have some driving to do. Options include heading west to Mississippi or follow the Appalachian Trail up towards West Virginia, New Jersey, Delaware, or Pennsylvania. These states have regulated industries that offer many forms of sports wagering in a legal manner and many are attached or near hotel so you don’t have to make the near-impossible drive there and back in the same day. Eventually, there may be cities in South Carolina that offer similar sports betting opportunities. What Do South Carolina’s Laws Say About Sports Betting And Gambling? South Carolina’s laws are almost as old as the state, and that’s pretty darn old. South Carolina joined became a state all the way back in 1788 and has been averse to gambling of most every sort almost since its inception. South Carolina Code of Laws Section 16-19-10 says that any kind of lottery or game of chance involving dice, lots, cards, balls, numbers, figures, or tickets is forbidden to be set up either in public or in private anywhere in the state. Furthermore, sections 16-19-40 and 16-19-130 goes on to describe how bookmaking and pool-selling are illegal in South Carolina, whether that betting is done on any “trial or contest of skill, speed or power of endurance of man or beast, political nomination, appointment or election or lot, chance, casualty, unknown or contingent event whatsoever.” So that summarily puts the brakes on any kind of gambling going on in the state, whether you’re shooting dice in the street or making or comparing March Madness brackets at the office. The penalties for violating the law are not exactly lenient either. Those found guilty are going to be looking at misdemeanor charges at best, and that means jail time of up to a year and/or in some cases a fine of up to $2,000 per instance of the offense. Hopefully, the laws will be changing soon to give a more relaxed structure or full legalization. What Teams Can I Bet On in South Carolina? South Carolina has no professional sports teams to call its own, but what the state lacks in pro franchises it makes up in enthusiasm for its college teams, which include some of the best in the nation and even a few national champions. The main two athletic programs in the Palmetto State hail from Clemson University which, despite a total population of only 13,000 people, has earned its dominant football program status. Clemson is a charter member of the Atlantic Coast Conference (ACC) and has won multiple NCAA football championships in the past years, having defeated the Alabama Crimson Tide twice. The Gamecocks men’s basketball team reached the Final Four at the 2017 NCAA championship, marking the first time they’d penetrated that far into a March Madness bracket – though the team has won numerous ACC championships over the years in the modern era. The women’s basketball team, however, has surpassed its male counterpart in recent years, earning top seed in the NCCA women’s tournament more than a handful of times and even going on to win the entire bracket. A testament to the ascendancy of the women’s hoops program is the fact that both squads share the same massive 18,000-maximum occupancy arena and regularly outpace the men’s team in terms of attendance at home games. Betting on the ponies in South Carolina is yet another one of gambling activities forbidden by state law. Though the Palmetto state is home to one of the South’s finest horse racing facilities, Camden’s Springdale Race Course, one of the stops along the prestigious Carolina Cup tour, no pari-mutuel wagering is allowed there. However, that ban could be lifted pending legislation from the upcoming sessions. A bill was introduced several years ago and initially gained traction. Though it didn’t get put to the vote, it was popular with two-thirds of South Carolina’s population of roughly 5 million people. This interest could eventually bring horse racing betting to SC, but online racebooks are the best option for now. Sites like Bovada, BetOnline, and SportsBetting allow horse enthusiasts to wager on races happening at tracks across the nation. The daily fantasy sports (DFS) industry is up and running in South Carolina. Originally set to regulate the industry and require operators to provide consumer regulations, Senator Brad Hutto and Representative Sylleste Davis sponsored Senate Bill 1093. Though SB 1093 languished in the session, there is still the possibility that the issue could be revisited as the bill was seen as favorable by both the state and the DFS industry. Additionally, the licensing required by fantasy sports operators would serve South Carolina in some much needed additional tax revenues. Don’t let this deter you from thinking DFS isn’t allowed in SC. Quite the opposite, operators like DraftKings and FanDuel both operate within the state even without any regulations in place. Defined as a game of skill, this doesn’t go against South Carolina’s anti-gambling agenda. That is why players can enjoy contests at the leading DFS sites that accept SC players. Can I Bet Real Money On Sports In South Carolina? Betting – and winning – real money on sports is easy for South Carolinians. All you’ll need to do is make an account at one of the reputable offshore legal sports betting websites we’re such big fans of. Once you’ve selected a bet on your favorite sport – and sites like Bovada, SportsBetting, 5Dimes, and BetOnline have action on Clemson and the Gamecocks too – you simply deposit funds, collect your sign-up bonus and see what happens in the game you’re interested in. It’s really that easy. However, what Palmetto State residents should NEVER do is bet real money at any physical location in-state. South Carolina’s laws are very particular about this. All forms of gambling except very tightly regulated lottery, bingo and things like that have been illegal since 1788 and they probably will be for the foreseeable future. Is Online Sports Betting Safe In South Carolina? Online sports betting via the legal offshore websites we talk about throughout this page are the only safe means of wagering on sports available to Palmetto State gambling enthusiasts. Federal bans on sports betting and extremely restrictive state laws with regard to the same make it impossible to legally bet or accept bets on sports in South Carolina. Fortunately, the foreign operated websites we advocate for use by South Carolinians are 100 percent legal and regulated by the countries in which they are based and completely out of the reach of the US legal system. So not only do players have security for their deposits and winnings, they can take comfort in the fact that they won’t be breaking any local laws. 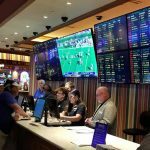 Will Sports Betting In South Carolina Ever Be Legal? It isn’t like that betting on sports will ever be legalized in South Carolina so long as the state’s legislature has anything to say about the issue. As recently as 2012 the State Supreme Court, at the prodding of lawmakers, unilaterally declared poker “an illegal game of chance,” allowable nowhere in the state – publically or even privately. If the same logic is applied to sports betting, which is already prohibited by not only state law but a bevy of federal ones like the Professional and Amateur Sport Protection Act of 1992 (PASPA), the Wire Act of 1961 and others, the odds aren’t good for legalization. However, the question of legal South Carolina sports betting may not be solely up to the state legislators, its Supreme Court or even the voters, as a pending case to repeal PASPA on constitutional grounds is soon to be taken up by the US Supreme Court. 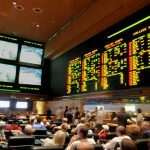 If New Jersey, the state that brought the case forward, is successful in its efforts and gets PASPA stricken down, then it would be possible for any state to legalize sports betting if it so desires. Whether or not there is a desire for it in South Carolina remains to be seen. Will I Get Arrested For Sports Betting In South Carolina? Theoretically, a person could be arrested for betting on sports in the Palmetto State, seeing as the practice has been banned for more than 200 years. However, since we recommend you doing your legal South Carolina sports betting at licensed offshore websites like Bovada, SportsBetting, BetOnline and 5Dimes, you are almost certainly not going to face any kind of legal trouble. That’s because South Carolina’ anti-gambling laws don’t explicitly outlaw online betting, and the websites we suggest you try out are based in foreign countries beyond the reach of the US legal system. What’s more, the state of South Carolina has never so much as charged anyone with a crime related to online gambling, so there’s nothing leading us to believe they’re going to suddenly start aggressively pursuing that course of action. How Old Do I Need To Be To Bet On Sports In South Carolina? The minimum age to participate in South Carolina’s few legal forms of gambling – bingo, raffles and the state lottery – is 21. That’s not any higher than most other states, so it’s no great loss in terms of the years a gambling enthusiast would have to wait before placing a bet at a legal South Carolina sports betting website based in an overseas jurisdiction. 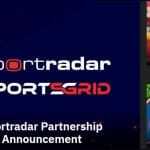 However, it should be noted that the top offshore sports gambling websites will actually take deposits from players as young as 18, in accordance with their own national regulations. In any case, South Carolina sports fans should wait until they are 21 just to be on the safe side, as the Palmetto State has pretty harsh penalties for illegal gambling practices. With the legality of online gambling pretty much a gray area as it is, there’s no sense in taking extra risks. Are There Mobile Sports Betting Apps Available In South Carolina? Every one of the legal South Carolina sports betting websites we recommend have mobile apps for their users’ convenience. These industry-leading websites, like the Latvia-based Bovada, European Union-based 5Dimes, or even BetOnline and SportsBetting – both of which are operated from Antigua in the Caribbean region – have fully embraced the mobile market and have developed excellent mobile apps for the iOS and Android operating systems. The actual experience of using these mobile apps is tantamount to using the actual website on a desktop computer. Since these websites are already remarkably user friendly in their “bigger” forms, it should come as no surprise that many users opt for the mobile app version by default. There’s not too many ways you can place bets on sports more conveniently. Where Is The Best Place To Bet On Sports In South Carolina? It might be more appropriate to say that you cannot bet on sports anywhere in South Carolina – not legally anyway. However, it’s equally true to say that, because of the existence of readily available, trustworthy and licensed offshore gambling websites, that the best place to bet on sports in South Carolina is wherever you are. This isn’t a contradiction in terms. Online gambling is not specifically listed among the illegal gambling activities enumerated by state law, and nobody has ever been charged for doing it, and the offshore websites we recommend for legal South Carolina sports betting are not subject to US law in the first place. Should I Use A Local Bookie In South Carolina? That’s because online gambling sites based in foreign countries like the ones we discuss elsewhere on this page are not only untouchable by the US legal system, they’re simply better. Online bookmakers like Bovada, 5Dimes, BetOnline and SportsBetting are going to have higher limits, bonuses and other incentives that a shady local bookie is simply not going to be able to compete with. Do Any Casinos In South Carolina Have Sports Betting? There are no casinos in South Carolina, not even tribal ones, and the few gambling boat cruises permitted by state law don’t offer sports betting either. Pretty much the only way you’re going to be able to lay bets on sports and the only way you can participate in legal South Carolina sports betting is to use offshore gambling sites. Websites of this kind are tightly regulated by their home countries, typically in Europe or the Caribbean, so there is no reason to believe that they will short you when it comes time to collect your winnings, and they offer all the sports betting action American bettors could ask for. In summation, there’s not much being lost by not having a physical casino to visit in South Carolina. Is It Against The Law To Bet With My Friends In South Carolina? What isn’t explicitly clear is how the state enforces its ban as outlined in the above laws. The fact that nobody has ever been prosecuted by the state for violations of these statutes no doubt emboldens some individuals to bet between themselves and friends, but really the most sensible way to avoid any possibility of legal trouble is simply to use the offshore sports gambling sites we’ve outlined. Bovada, 5Dimes, BetOnline and SportsBetting all offer such a convenient and easy to use – not to mention legal – South Carolina sports betting alternative that one wonders why anyone would try anything else.